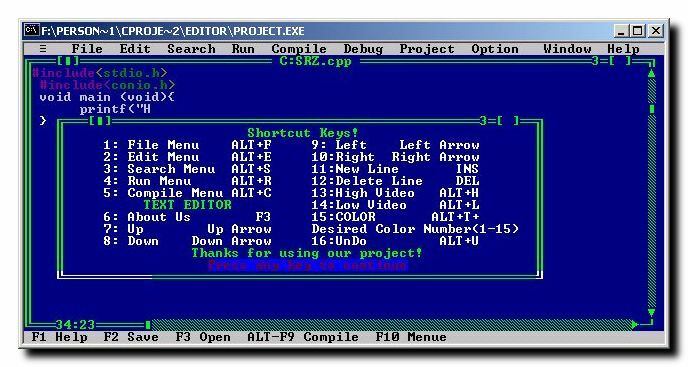 This is a small C program that demonstrates Turbo C Compiler User Interface. This is done by using graphics library in C.
This C program uses line() function to draw the lines and setcolor() function to change the colors of different items. The function outtextxy() is used to draw text at different locations.